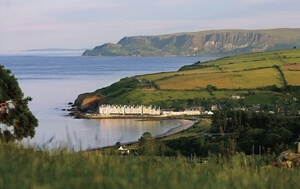 At the edge of Europe, you’ll find the Inishowen Peninsula, a beautiful, remote region, with a surprising secret. At night, under the right conditions, the sky comes alive with waves of pink and green shimmering lights. This is Ireland’s most northerly point and it offers almost perfect conditions for viewing the Northern Lights, thanks to clear, dark skies. Look up and lose yourself as the Aurora Borealis illuminates the night. 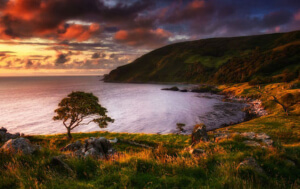 You’ll find many natural marvels along the Wild Atlantic Way, from spectacular sea cliffs to golden beaches. 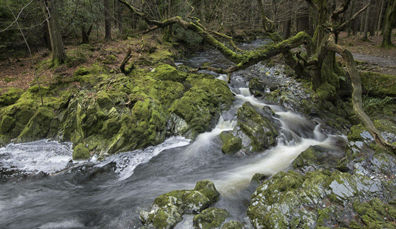 But among the most enthralling are the mysteriously glowing waters to be found in Kerry and Cork. Bioluminescent plankton shine under the stars along Kerry’s Skellig coast, turning the waters a ghostly blue. And in Cork, you can go night-time kayaking on Lough Hyne and witness this phenomenon glittering beneath the still waters. The stark limestone landscape of The Burren in Clare is often depicted as an enigmatic moon-like place, sculpted by nature and dotted with historic tombs. But every May, these grey, rock pavements transform into a kaleidoscope of colours as wildflowers bloom through the clints and grykes. Celebrating this national park’s vibrant display, the Burren in Bloom festival blossoms into life. Visitors can discover more about the origins of this extraordinary region and even take home the unique fragrance of these wildflowers from the Burren Perfumery. Just beyond the bustling streets of Dublin city lies a lush, green oasis, beloved by the city’s inhabitants. 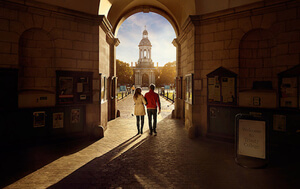 The Phoenix Park is said to be the largest enclosed city park in Europe, and visitors can expect everything from a friendly herd of fallow deer, to a Victorian flower garden and even a zoo (Dublin Zoo is located within the park). Hire a bike, go for a stroll, or simply take a load off beneath the speckled shade of one of the many ancient trees in this 350-year-old park. Step into folklore at the Giant’s Causeway, one of the island’s most surprising landscapes. This UNESCO World Heritage site is home to 40,000 hexagonal pillars, carved by ancient volcanic forces – or by warring giants, depending on what you choose to believe. 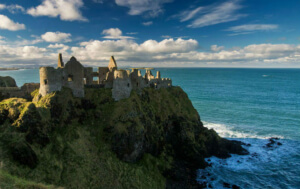 Make this a road trip to remember by following the Causeway Coastal Route from Belfast to Derry~Londonderry and experiencing all the wild wonders this stunning coastline has to offer. Experience the Seven Kingdoms first hand, travelling between bewitched forests and wild coasts. 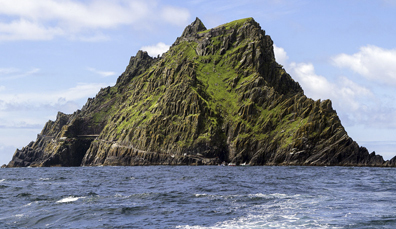 Take in the Wild Atlantic Way and witness just what makes the Skellig Ring a Lonely Planet favourite. 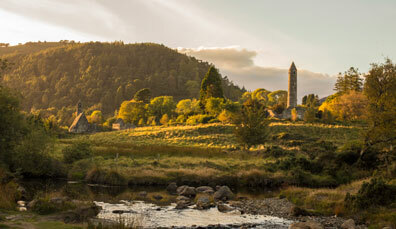 Journey through 5,000 years of history including legendary castles, lush scenery and rugged coasts.